There are many instances in which letting someone else drive your car may sound like a fine idea. Perhapson a road trip, on a night out or even on a quick trip to the grocery store may be convenient times to have someone else driver for you. However, letting the wrong person drive your car has several consequences that can impact you monetarily and affect your car insurance policy. The experts at CarRegistrationAdvisors.org have compiled a list of people who should never drive your car. If someone drives your car as they are unlicensed, it violates a series of laws.It also puts you both at great risk if they get into a car accident. Driving without a license is illegal in every U.S. state — if an underage or unlicensed driver gets into a car accident and is at fault, your insurance company may deny your claim because of who was behind the wheel. There is a myth regarding insurance policies that states that policies follow the driver and not the vehicle — that is incorrect. Regardless of who is driving, if your vehicle is involved in an accident and the driver is at fault, the monetary cost, such as a deductible, will fall on you. However, if the driver is underage or unlicensed, you may be fully responsible for the cost of repairs and/or medical expenses. The consequences vary by insurance company and policy. One thing is clear: if you let someone illegally drive your car, you will have to face the legal and monetary repercussions of that decision. Before you let someone drive your car, the team here at CarRegistrationAdvisors.org encourages you to evaluate if that person is a safe driver before he or she gets behind the wheel. High-risk drivers include those who have committed multiple traffic violations, have gotten a DUI or been in an at-fault accident. Insurance companies generally have higher insurance rates for high-risk drivers as they are perceived to be more likely to commit another infraction. The same precautions should be taken by regular drivers who consider letting someone else drive their car. 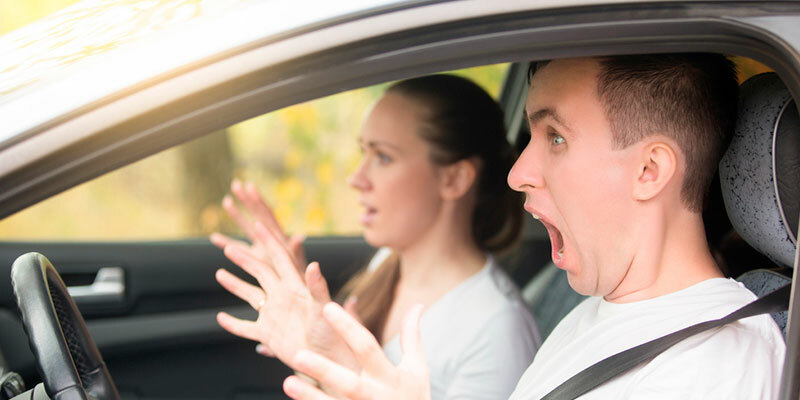 If a high-risk driver has not proven to be reliable and responsible driver, the experts here at CarRegistrationAdvisors.org suggest reconsidering letting him or her getting behind the wheel of yours. An excluded driver is one who has been explicitly listed on your car insurance policy as someone who will not drive your car such as a teenager, elderly family member or high-risk driver. If that excluded driver is involved in a car accident, you both can be personally liable for the damages. The insurance company, in many cases, will refuse to cover any costs as the driver was specifically banned from operating the vehicle. The CarRegistrationAdvisors.org team suggests keeping the keys to your vehicle away from the access of the excluded driver. Car insurance policies are based on several factors including the purpose of the vehicle. Vehicles for commercial purposes are covered under different policies than those for personal use. As such, here at CarRegistrationAdvisors.org, we believe it is important to know what someone will use your car for, if they plan on borrowing it. In many cases, your personal policy will not cover the costs of an accident if the driver is delivering goods, acting as a ride-sharing service, messenger service — among others — because it falls under commercial car insurance.